London Overground’s Gospel Oak-Barking line (GOBLIN) is set to re-open on January 15, 2018, following the installation of new overhead lines. Electrification of the 22.5km route was expected to be completed in February 2017, following a phased eight-month closure. 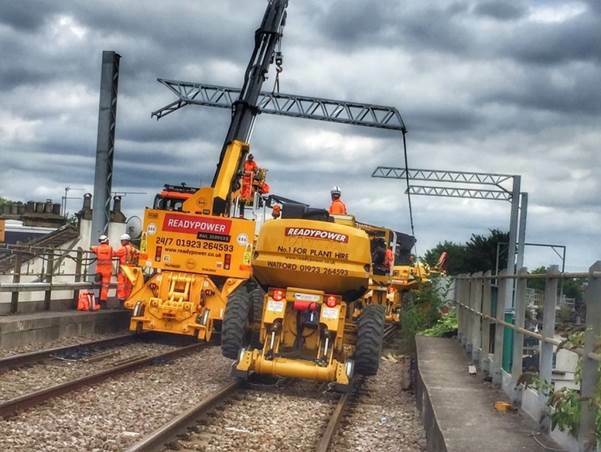 However, “incorrectly designed” overhead line equipment and the late delivery of materials delayed the scheme and led to Network Rail to apologise to passengers. Engineers will now test the line at night and in between normal services to complete electrification ahead of the introduction of Bombardier Aventra EMUs from spring 2018. When services resume, the existing two-car Class 172 diesel trains will be used until the new four-car electric trains – which will double the line’s capacity – have been fully tested and driver training completed. Network Rail still needs to carry out some improvements to the Crouch Hill Bridge, which crosses GOBLIN, meaning no London Overground services will operate on this line over the weekend of April 7-8. Services will restart on April 9. Network Rail’s managing director for the Anglia route, Meliha Duymaz, said: “Passengers travelling on the Gospel Oak to Barking line are set to benefit from a transformational, once in a generation upgrade with a new fleet of longer, electric trains so that twice as many people can travel comfortably, once line testing is complete. 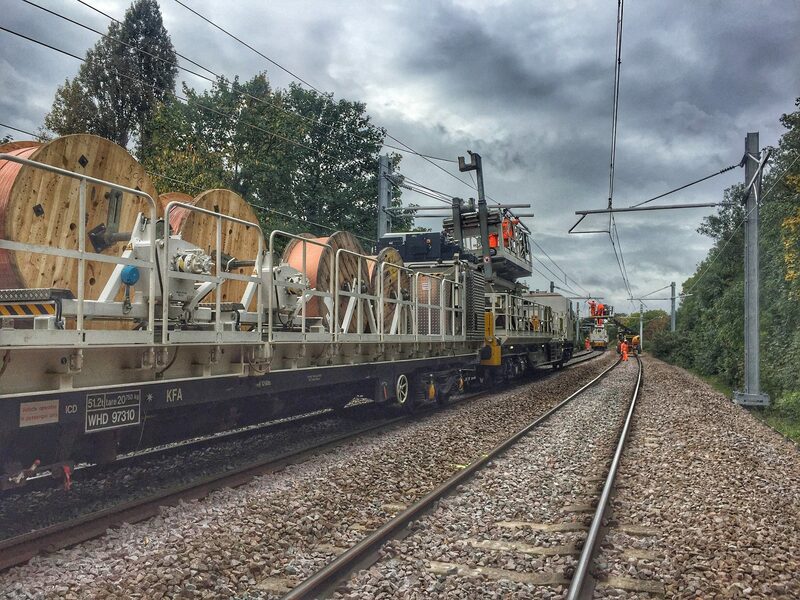 The electrification of GOBLIN is being carried out by Network Rail and funded by the Department for Transport and Transport for London. As well as the London Overground, freight services also operate on GOBLIN. 10 London Overground Class 710’s trains will be deployed to operate on the Gospel Oak-Barking Line that will enter passenger service from May this year. With few more Class 710’s to be added when the extension to Barking Riverside has been completed. Also the Class 710’s will work on the London Liverpool St-Chingford, Cheshunt and Enfield Town Lea Valley metro services and Romford-Upminster service to replace the Class 315’s and Class 317’s (unless London Overground will keep few of the Class 315’s for the Romford-Upminster branch line for short time). Aswell Class 710’s to operate on the London Euston-Watford Junction DC 3rd Rail service to replace the 5-Car Class 378’s to operate on the East London Line and North London Line services to increase capacity on those services. And the 8 Class 172’s Turbostar units will be cascaded to West Midlands Trains (West Midlands Railway/London Northwestern Railway) to operate on the Coventry-Nuneaton and Coventry-Leamington Spa lines from 2019. Along with Kenilworth railway station that is due to reopen in February once the works has been completed. That the Class 172’s serve Kenilworth station. With at least 24 more Class 710’s to be added as the GOBLIN Line is to extend to Barking Riverside that would see 4 or 5 more Class 710’s to be added when the extension to Barking Riverside is finished. And extra Class 710’s to be used for Euston-Watford and Lea Valley services to add more capacity. And 1 Class 710 to operate on the Romford-Upminster line. It is now November 2018. The class 710s are not yet in use and not likely to be this year. They have already moved one train (172002) to West Midlands Railway (It’s in Tyseley, Birmingham) and just last Saturday, they removed 172006 from the GOBLIN. Chances are that they’ll remove all the trains and close the line before we can travel on the class 710s.